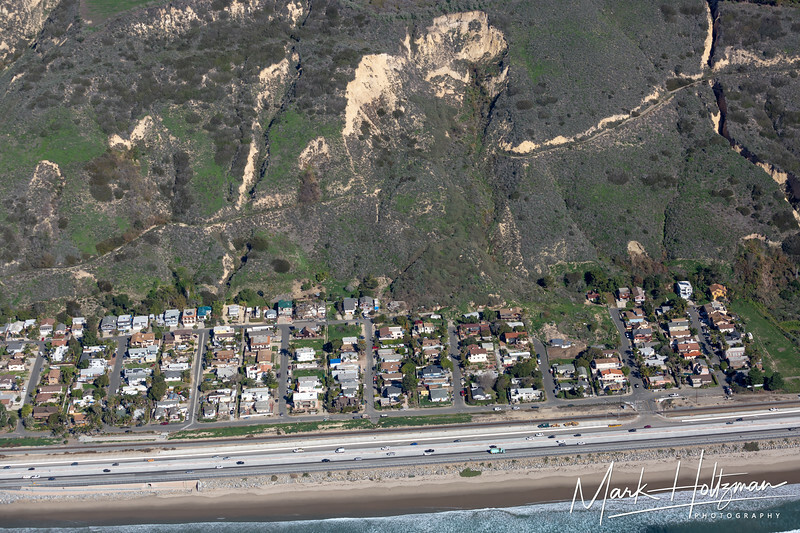 La Conchita is a small beach community between Los Angeles and Santa Barbara. After 15 days of near record rainfall (almost 15-inches! ), there was a huge landslide which destroyed 13 houses, damaged 23 more and killed 10 people. 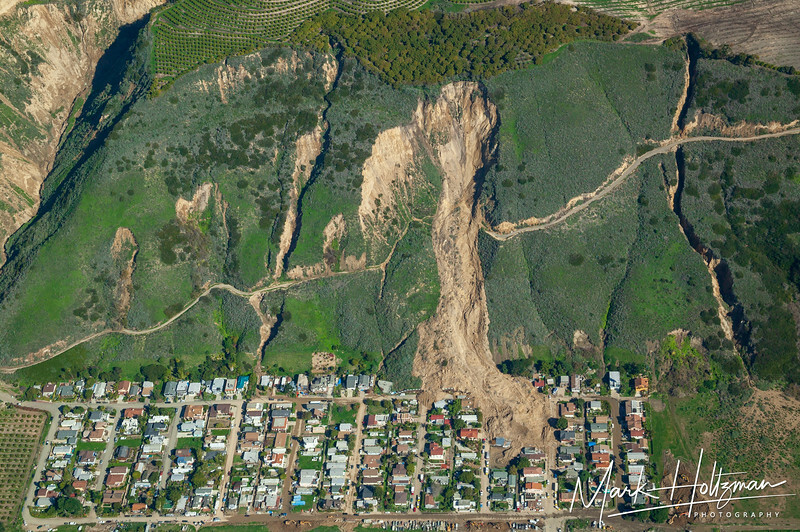 We took some aerial photographs a few days after the 2005 landslide and shot some more a few days ago (10 years later). It's amazing that nothing seems to have changed in the 10 years. Many of the destroyed houses are still there while people go on their daily lives next door.